Description: Scholarship is open to California students pursuing a degree for a career in the real estate field. Description: Scholarships are open to graduating high school seniors who are residents of the East Central Illinois area. Description: Scholarship is open to high school seniors and current college students who are active members of the International Thespian Society. Most scholarship require an audition. 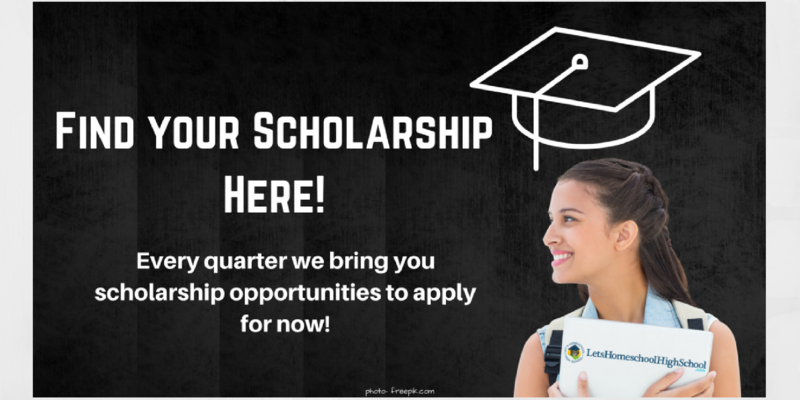 There are multiple scholarship opportunities, so check website for specific requirements. Description: Scholarship is open to graduating high school seniors who are legal residents of North Dakota and a direct descendant (child, grandchild or great-grandchild) of a U.S. veteran who served honorably. Applicant must be pursuing a degree in some phase of Agriculture, Human Nutrition, or Medicine (Medical Dr., PA, Dentistry, Dental Hygiene, Pharmacy or Chiropractic). Description: Scholarship is open to graduating high school seniors accepted to an accredited college, university, or vocational school who are members of GeoVista Credit Union or are sons or daughters of a member. Description: Scholarship is open to graduating high school seniors from Maine who have been accepted by a college or university. Criteria for selection will include academic average, leadership, and service in school and community. Description: Scholarship is open to female residents of the Greater Houston area who are in good standing at an accredited college or university. Applicant must be pursuing studies for a career in public service. Description: Scholarship is open to U.S. citizens and U.S. permanent residents who are at least 15 years of age at the time of application and plan on becoming a pilot. Description: Scholarship is open to students who have surrendered their lives to full-time Christian service and are preparing for full-time Christian ministry. Scholarship is open to graduating high school seniors, college students, graduate students, and seminary students. Description: Scholarship is open to U.S. Citizens and legal residents who are dependents of a Walmart associate who has been actively employed within any division for at least six consecutive months as of April 2, 2019. Applicant must be a graduating high school seniors with at least a 2.0 GPA. Description: Scholarship is open to incoming and current college students at the University of Washington, Western Washington University, and Sinte Gieska University (South Dakota). Applicant must have service/volunteerism in their respective Native communities, leadership, and participation in extracurricular school and/or community activities. Description: Scholarship is open to undergraduate students enrolled on a full-time basis at a four-year accredited university and majoring in Computer Science, Engineering, Mathematics or Science. Applicant must be from a traditionally under-represented population in the STEM disciplines, including females and individuals of African-American or Latino descent in the United States. Scholarship is open to students from the United States, China, India, Isreal, Japan, Malaysia, Philippines, and Thailand. Description: Scholarship is open to New Mexico graduating high school seniors residing in a mobile/manufactured home. Description: Scholarship is open to students attending or planning to attend an accredited two or four-year college, university, nursing or vocational/technical school for full or part-time study. Applicant or their parents must have a minimum of two years’ employment in the footwear industry (1,000 hours over two years). Description: Scholarships are open to undergraduate students and graduating high school seniors who attend school or permanently reside in Chicago south side communities. Multiple scholarships available – see website for details. Sponsor: Children of Deaf Adults, Inc. Description: Scholarship is open to hearing children of deaf adults who are incoming or current undergraduate or graduate students. International students are welcome to apply. Description: Scholarship is open to Alabama high school seniors and college freshmen enrolled in an Alabama college or university. Applicant must submit an essay on a given topic related to distracted driving. Description: Scholarship is open to graduating high school seniors, current undergraduate students, graduate students, doctoral, post-doctoral, and/or continuing education, trade school and/or vocational school students who are members of Generations Federal Credit Union (Texas). Applicant must have at least a 3.0 GPA. Description: Scholarship is open to full-time graduate students with a pre-lingual bilateral hearing loss in the moderately severe to profound range, using listening and spoken language as their primary method of communication. Application must be attending an accredited mainstream law schools or a master or doctoral program in public policy or public administration. Description: Scholarship is open to incoming and current college students of Latino/Hispanic descent with at least a 2.5 GPA and can demonstrate community or school service and financial need. Applicant must live on the Southwest side of Chicago (see website for specific locations). Description: Scholarships are open to students who are residents of Maine and are, or will be attending, an institution of higher education in a field of study clearly associated with the Culinary Arts, Restaurant, Hotel or Hospitality Management. Description: Scholarship is open to high school students currently attending a high school located in McLean County, Illinois. Applicant must submit a photo of an original piece of artwork they have created. Description: Scholarship is open to graduating high school seniors who are New Jersey residents and have visited the New Jersey Vietnam Veterans’ Memorial. Description: Scholarship is open to full-time students (women and minority students) currently pursuing a graduate degree in a STEM field at any accredited academic institution. Description: Competition is open to students who live in or attend school in Clay County ane be in grades 9-12. Applicant must audition for the jazz competition. Description: Scholarship is open to female Maine residents who will graduate or have graduated from high school and who will enroll in an accredited college or school for post-secondary education this year. Applicant must have demonstrated financial need. Primary consideration will be given to those with dedicated school and/or community involvement. Secondary preference will be given to those women seeking a journalism degree. Description: Scholarship is open to high school senior girls and recent graduates who will enroll in an accredited college or training program in the fall for their first year of post-secondary study. Description: Scholarship is open to high school seniors with sickle cell disease who will be pursing higher education. Description: Scholarship is open to Delaware resident students with autism spectrum disorder who have completed high school or earned a GED and possess the capacity to complete a post-secondary program. Applicant must have been accepted into a post-secondary program. Description: Scholarship is open to graduating high school seniors who are residents of the state of North Dakota and a direct descendant (child, grandchild, etc.) of a veteran with honorable service in the U.S. military. Description: Scholarships are open to students studying health care or nursing. Multiple scholarships available with specific requirements. Applicant must live within the Heartland Foundation service region (select counties in Missouri, Iowa, Kansas, and Nebraska). Description: Scholarship is open to Oklahoma residents who will be entering and attending an Oklahoma college, university or technical school for the first time in the fall semester of 2019. Description: Scholarship is open to graduating high school seniors from one of the five boroughs of New York City planning to enroll in full-time undergraduate study. Applicant must be planning to pursue a degree in a scientific field of study, broadly to include: Biology, Chemistry, Computer Science, Economics, Engineering, Geoscience, Environmental Science, Material Science, Mathematics, Pharmacology, Physics, Plant and Animal Science, Political Science, or Social Science. Description: Scholarship is open to U.S. citizens 16 years of age and older who are either in their senior year of high school or currently enrolled in an accredited institution of higher learning. Applicant must submit an essay on a given topic related to a local government office. Description: Scholarship is open to graduating high school seniors and current college students who are interested in making a difference in the lives of immigrants and other non-native individuals living in the United States. Description: Scholarship is open to graduating high school seniors who are registered, active members of a Boy or Girl Scout unit and earned the Eagle Scout Award for boys or Gold Award for girls. Applicant must also be an active member of an Eastern Orthodox Church and have received the Alpha Omega Religious Scout Award. Description: Scholarship is open to incoming and current undergraduate students in the United States and Canada. Applicant must submit an essay on one of three given topics related to HVAC, energy-efficient building, or building structure fires. Description: Scholarship is open to undergraduate American Indian and Alaska Native students who are full-time and degree-seeking college freshmen, sophomores, juniors, or seniors and who hold a current GPA of 2.7 or higher. Description: Scholarship is open to students of Welsh ancestry who live or attend school within 150 miles of Philadelphia. Description: Scholarship is open to Asian high school seniors and current college students who are/will be pursuing a major in fashion or graphic design. Applicant must be a citizen, national or legal permanent resident of the U.S. and have at least a 3.0 GPA. Description: Scholarship is open to Asian American high school seniors and current college students who are citizens, nationals, or permanent residents of the U.S. and have at least a 3.0 GPA. Applicant must have demonstrated visionary leadership abilities through innovative means. Sponsor: Di Bella Law Offices, P.C. Description: Scholarship is open to graduating high school seniors with at least a 3.0 GPA and current undergraduate students either attending or planning to transfer to a four-year university. Applicant must submit a short introduction and an essay a good deed they did or are currently doing for someone else. Description: Scholarship program is open to low-income high school students to enroll in college courses from Nebraska college or universities, either through dual-enrollment or early enrollment agreements with the institutions. Deadline is for Spring term classes. Description: Scholarship is open to incoming and current college students. Applicant must submit an essay on a given topic related to making roads and highways safer. Description: Scholarship is open to graduating high school seniors who are the sons, daughters or legal wards of a member of the American Postal Workers Accident Benefit Association. Description: Scholarship is open to students who have an acceptance letter to an accredited dental school. Applicant must have an undergraduate GPA of at least 3.5. Description: Scholarship is open to high school graduates who have a strong academic record and are accepted or currently enrolled in a four-year institution of higher education. Applicant must have a sustained (one year or more) involvement in humanitarian service projects. Applicant must live in the Mon Valley, Pennsylvania (Rankin, Turtle Creek, Braddock, North Braddock, Homestead, Duquesne, Monongahela, and West Mifflin). Preference will be given to students who are African American and attend Morning Star Baptist Church. Description: Scholarship is open to Antiochian Orthodox Christian students who are in their first three years of undergraduate college studies in the fall following their application. Applicant must submit an application and a short autobiographical essay. Description: Scholarship is open to incoming and current undergraduate Christian students attending college in California, Oregon, or Washington. Applicant must have a Christian testimony and verifiable Christian leadership. Description: Scholarship is open to graduating high school seniors and current college students attending one of the 37 UNCF member colleges or universities during the fall 2019 term. Description: Scholarship is open to graduating high school seniors and college freshman and sophomore students in the United States and Canada. Applicants must be enrolled or accepted and seeking a degree at a U.S. or Canadian university college or art school as a declared major in a visual arts program. Applicants must submit a portfolio of three to six images of artwork. Applicant must include a portfolio that includes three to six images of artwork on a flash drive. Description: Scholarship is open to first year freshman students attending an accredited college or university during the 2019-2020 school year. Applicant must have at least a 3.0 GPA and preference will be given to students who are interested in pursuing a career in law. Description: Scholarship is open to graduating high school seniors and college freshmen, sophomores and juniors between the ages of 16 and 22 years of age. Applicant must submit an essay on how they envision classrooms in 100 years under the influence of technology.